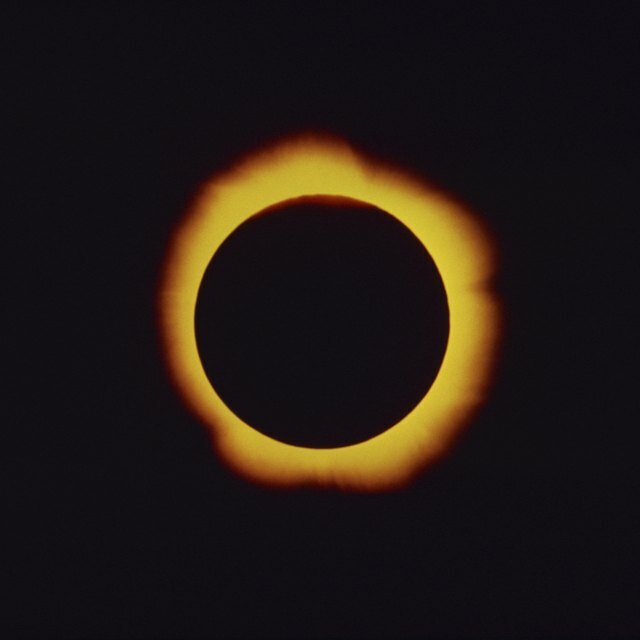 What Are the Causes of Lunar and Solar Eclipses? A lunar eclipse occurs when the sun, earth and moon are all in alignment. The earth casts a shadow over the moon creating the eclipse. Lunar eclipses are more common than solar eclipses and can be viewed from all over the world. Projects on lunar eclipses can detail the different types of lunar eclipses that occur, the mechanics behind the eclipse and additional information that can be ascertained through observing the eclipses. A model of a lunar eclipse requires a light source, a large ball and a small ball. Place the balls on a stick; styrofoam balls and skewers work well. The larger ball needs to be in a stationary position. Place the light source so that all the light is shining on the ball, which will cast a shadow. Discuss rotation of the earth and moon around the sun. 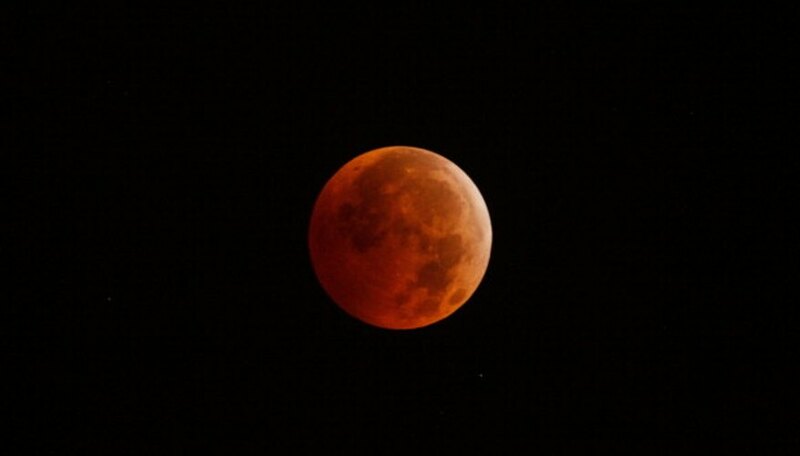 When the moon, which is represented by the smaller ball, enters the shadow of the earth, a lunar eclipse occurs. There are two types of lunar eclipses, partial and total. Partial eclipses are when the moon enters into the earth's umbra, or dark part of its shadow. This will cause a partial darkening of the moon's face. A total lunar eclipse occurs when the entire moon is in the umbra. Produce pictures or make reproductions of how the moon looks when it is in a partial or total eclipse. There are also four levels of darkness and colors associated with each level. Why Doesn't it Occur More Often? Prove why a lunar eclipse does not occur more often. The earth is between the sun and moon many times during the course of the year but lunar eclipses happen very rarely. The angle of the moon's orbit is on a 5 percent incline compared to earth. This variant keeps eclipses from occurring more often. In fact, there are two intersections where the lunar eclipse occurs at the ascending and desceding nodes, or the intersecting paths of the rotations. This can be demonstrated by holding two hula hoops slightly offset from one another but crossing at two points. Your head can represent the earth and each hula hoop represents the moon and sun. Just make certain everyone is aware that the sun does not rotate around the earth. In 270 B.C. Aristarchus was able to determine the distance between the moon and earth by using the length of a total lunar eclipse. It was assumed that the earth was a sphere but everything rotated around the planet. This project is good for high school students as it utilizes the constant pi and the length of a total solar eclipse to determine that the moon is roughly 60 earth radii, or 30 diameters away. This means we can place 30 earths between the earth and moon. What Is the Difference Between Umbra and Penumbra? E, Michael. "School Projects on Lunar Eclipses." Sciencing, https://sciencing.com/school-projects-lunar-eclipses-8572919.html. 24 April 2017.